Are you looking for Virtual Office in Mumbai? If yes, Avail the most cost effective and professional Virtual Office at a premium location without bearing its high rent. InstaSpaces provide Virtual Office at Premium business center and also you can avail a dedicated phone number and a virtual receptionist by paying additional charges. Register your company in Mumbai without a physical address using a Virtual Office Address of prime business center. You will be provided with complete documentation, prime location address & all in-office services by InstaSpaces. Register for a GST number in Mumbai with the help of Virtual Office. With a virtual office address you will be able to register for GST for that location. Moreover you will be provided with all necessary documentations like NOC, Agreement, Signage, Electricity Bill. If you need a Prime Office Address for your business for the purpose of courier handling then virtual office is the only solution for you. 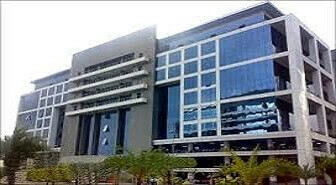 With the help of virtual office you can get a address for mailing purpose at prime business centres in Mumbai.You can use that mailing address at your visiting card and website.